The view of the central Downtown area as seen from Blue Mountain. 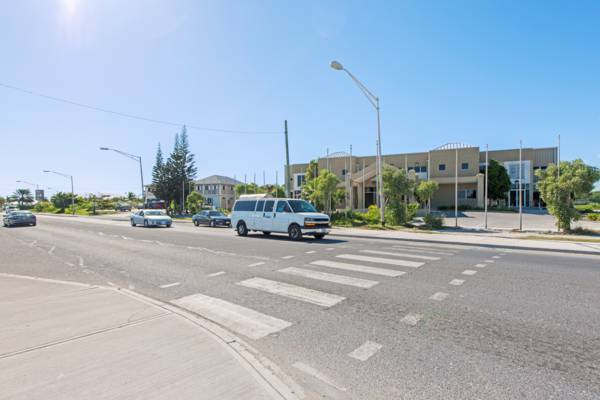 Located in central Providenciales and close to the airport, several of the Government offices, the Post Office, many small restaurants and shops, and the Gustarvus Lightbourne Sports Center (popular location for Town Hall meetings) can be found here. Although one of the busiest areas on the island, building density tends to be low and spread out, and blends into Kew Town on the northern edge. Formerly the undisputed center of activity on Providenciales, Grace Bay has begun to see more development and it’s likely that the central Grace Bay area will become the closest thing to a city center on the island. Due to the lack of a nearby beach, there has historically been no hotels or resorts located in this area, although a new locally-owned hotel is due to open in early 2017. The Downtown area is actually not one of the oldest settlements on Providenciales and basically did not exist before the 1980s. Previous to the introduction of tourism to Providenciales, the small coastal settlements of Blue Hills, The Bight and Five Cays were the only places that had more than a few buildings. This district is the location of the Town Center Mall, the country's first such establishment, and also the short-lived location of a local Kentucky Fried Chicken (KFC) franchise, which closed in the mid 1990s. 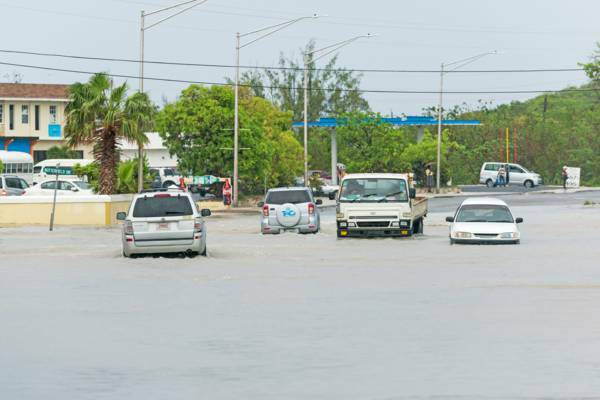 The Downtown region of Providenciales was originally low-lying marshland, with shallow ponds, waterways, and mud flats with silver buttonwood groves. Cheshire Hall Creek, the salt ponds to the southeast of Downtown, at one time extended farther inland as well. After the construction of the modern Providenciales International Airport in the 1980s, crushed limestone “quarry” fill was used to raise the ground level of many of the various parcels that saw development. Typically adding an additional two to three feet (.6 to 1 meter) of elevation, at places these works created new drainage issues. Because of the low elevation, Downtown is susceptible to flooding, both from heavy rainfall and hurricane storm surges. Drainage engineering through both small channels and shallow wells has taken place multiple times over the years, yet remains largely ineffective.